Why Should Thermal Properties of Concrete Consider in Structural Design? Besides other properties of concrete, thermal properties are also important in analysis and design of concrete structure. In this blog we will discuss about thermal conductivity, thermal diffusivity, specific heat and thermal expansion of concrete. These four main thermal parameters are mostly used in analysis and design and in sometimes used during idealization of structures. First we will learn about the parameters in brief. Thermal conductivity is a measure of the conducting ability of heat of concrete. Thermal diffusivity is a rate that defines the temperature changing capacity of concrete within its mass. As we know specific heat is the amount heat required to create unit change in temperature. Thermal conductivity and thermal diffusivity are related to formation of temperature gradients in concrete, early stage cracking in concrete, thermal strains and warping of concrete. Thermal insulation is also related to these properties. Most of the materials used in engineering purposes have positive thermal expansion co-efficient. Concrete also agree with this trend. This important property is used in determining keeping provision for support movement of bridges. It has influence on both vertical and horizontal movements. The expansion property is also used in design and detailing of contraction and expansion joints for concrete members. Structures that are indeterminate should be checked for deformations due to variation in temperature. Many structural softwares provide facility to check response from temperature effects. In prestress concrete industry this property is also considered with care. Thermal gradient of concrete is also depends on it. 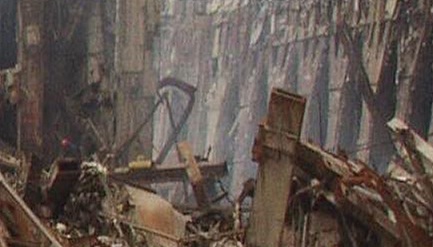 What Structural System Perform Best against Explosion?